2. 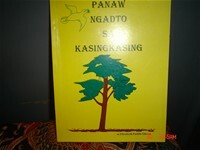 Book of Poems in Cebuano language , "Panaw Ngadto sa Kasingkasing", CGS, Cebu CIty, Philippines, 1994. 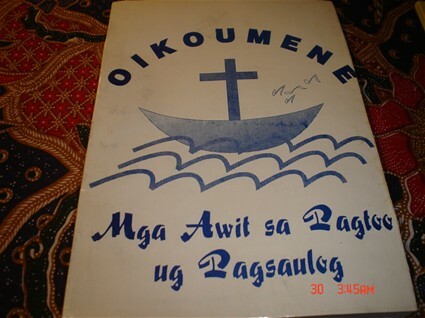 3.Mugbong Sugilanon sa Matuod nga Hitabo sa Kangitngit og Kahayag, Central Visayas Ecumenical Fellowship, Cebu City, Philippines, 1995, short stories written after interviews with people, representing different church denominations in Cebuano language. 6. 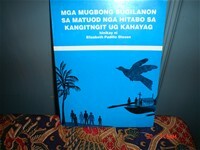 A Guide for Pregnant Women,for women in Philippine villages in Cebuano language, "Giya sa Nagmabdos nga mga Inahan", CGS Cebu City, 1997. 7. Mga Dula sa Pasko (Christmas plays/dramas in Cebuano language for rural churches) Rural Publication Center, Silliman University, Dumaguete City, ed. Dr. Elena Maquiso, 1979. 1. The Burning of the Seaweeds Barn (an Easter play ) published in Praxis, journal for Christian World Student Federation, Hongkong,1979. 8.Article on Worship experience at San Antonio World Mission and Evangelism Conference, 1991, International Review for Mission, World Council of Churches, Geneva. 9. "If you should assassinate again, can`t ourExodus be far behind? "UCCP Human Rights Advocate. Areopagus Magazine, ed. John Lemond, Hongkong. On the Move, Uniting Church of Australia. 13. Spirituality for Combat,CCA News, Christian Conference of Asia, Hongkong. 14. Of Rice Grains and Thieves,Freeman Newspaper, Cebu City, Philippines. entry. To Arthur, A Dream, second prize. 2. International Poetry Contest, www. voicesnet.com, and won a camera. 3. Essay Writing Contest, Christianity in Asia, spearheaded by Japan National Council of Churches. entry: Christianity in Asia, among the three winning entries. D. Standing manuscripts, written in a period of ten years in Denmark, waiting for a publisher. 2. Cinderella of God' s Grace, a novel which is an autobiography as one diagnosed as cancer patient, going through marriage, birthing, and encountering possibilities of study and experience in the wider ecumenical fellowships,and the struggle for integration in Denmark as a foreigner with the eyes of faith. 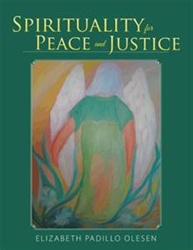 3.Nona, An Angel in the Island of Bethel, a novellete on the experience of Good Samaritans in the context of poverty, interpreting the experience as God`s hand of grace. 4. A Plea for Love and Compassion in the midst of Fear, Hatred andWar, a collection of poems written and inspired by the local and international events and personal experiences and reflections. 5. 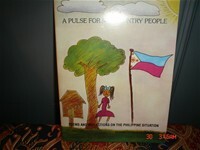 True Stories on Women in Asian Patriarchal Societies (Nepal and the Philippines) in short stories and dialogue form. 6. Compassion for Mother Earth, six short stories on ecology with guide questions, reflecting environmental issues for common discussion, materials meant for school children and their parents; with a Danish version as translated from English by Holger Madsen. Det er en bog af noveller/fortællinger om den kristne tro, skrevet på mit modersmål, Cebuano, skrevet for at inspirere i læsernes rejse i troen. Her en bog af digte, skrevet originalt på Cebuano sprog med egne tegninger som illustrationer. Digtene handler om livet på øen og om det filippinske folks kæmp at overleve.